Culture seekers will appreciate O‘ahu’s fine craftsmanship woven with island tradition. 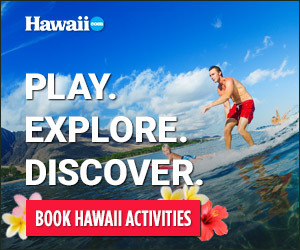 And there are many WORKSHOPS AND CLASSES that enable you take the rich history of Hawai‘i craftsmen home with you. PAIKO HAWAII in Kaka‘ako offers a FLORAL CROWN WORKSHOP where you learn about local flora while assembling your very own crown of flowers. The botanic boutique also is stocked with crafty gifts to try in-shop or take home. Visit paikohawaii.com for workshop information. Moving from cultural flower adornments to chocolate, MADRE CHOCOLATE, Hawai‘i’s award-winning bean-to-bar chocolate company, regularly offers CHOCOLATE BAR MAKING CLASSES at Kailua shop and Chinatown locations. Workshops include tastings and an informative tour of the chocolate-making magic! It also offers PAIRINGS CLASSES, such as wine-and-chocolate pairing. Visit madrechocolate.com to check the calendar. And for the gourmet, you can make your own wine right in Kailua at ‘OENO WINEMAKING. Create a custom blend by tasting, mixing then fermenting. Grab your travel mates to bottle, cork, label and enjoy your vino! seating is limited, so contact ‘Oeno ahead to map out your perfect bottle time. Find details at oenowinemaking.com.